The official football thread, all types of football! So as I am watching my Manchester United playing Arsenal in the football game on tv, (I only watch the and then only the second half of games, 90 minutes is too long for me), oh, Arsenal just scored and oh wait! My Manchester United have just equalized, 2-2! Anyway, I wanted to explain why I support them, well that's apart from them being the most glamorous team in the entire footyverse!!! Sorry it's getting exciting now, it weren't when I started wrirting! Well, I thought, with some of us liking football, that this could be our football, soccer, American and Australian too thread. Re: The official football thread, all types of football! I like football but could never be called a fan. My Mother loved Man U though. One night when I lived with her, she seemed irritated as I watched a romantic comedy. Turns out Man U was playing on the other channel. Ironic really. Meanwhile my brother in law, a Londoner supported the Gunners. They exchanged a lot of banter, much as they loved each other. 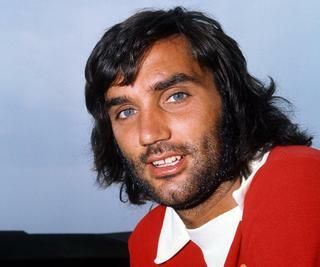 Georgie Best, sigh! The best. I remember going to buy my Victor comic, remember? You're a contemporary of mine, Celia. One week there was a a supplementary leaflet of First division stars. When I brought it to the counter, one of the girls snatched it up, sighing. Look it's George Best 'I love him'. I grew up in Dublin by the way. If someone asked you what team you followed it was always an English team. I didn't even know Ireland had a soccer team. My eldest Brother was an Aldershot Town nut and really got upset that I liked Manchester United and had George Best & Willie Morgan posters in my bedroom back then. I also had Suzi Quatro, Mud and Sweet posters up there as I remember, but that did not bother him so much! Gotta admit, I bought the pop mags back then but Georgie was in all the mags. Yet everyone loved him. He threw his life away but we forgive him. In Ireland he remains a hero, North and South. I just watched the match (I had recorded it). It was an interesting match - 2-2 final. I think Man United has seen its hey day and the torch (at least for this year) has passed to City. I am still a fan of the Spurs and enjoy watching Kane score. Most gifted player ever, [George Best, edit coz cross post], better than Pele I reckon. The most fun player ever too. The most handsome man in the world at the time too. Just had too much going for him, the drink was the slap in the face.....now if he'd have met me, I'd have put him on the straight and narrow, but alas he was cis straight. MichaelaSJ wrote: I just watched the match (I had recorded it). It was an interesting match - 2-2 final. I think Man United has seen its hey day and the torch (at least for this year) has passed to City. So I have been half watching the Champions League. I don't usually watch any football but my Manchester United, but whilst ironing and doing some other stuff tonight, including posting here, I have watched on as Liverpool pulled off a great win against Naples. Also Tottenham Hotspur got a draw against Barcelona to go through, so there are no lesss than four English teams in the last 16!!!!! That's great!!!! (Funny, thinking of another thread about Brexit scare stories, many fans have said if we leave Europe we can't play in the Champions League, such are the EU lies that is throwing many against the EU!). Well, the best a Norwegian team has done is the quarter-finals, Rosenborg some years ago, but I am so happy for Liverpool, Tottenham, and my Manchester United. I don't quite have the same feeling for Manchester City though coz they hate my Manchester United and I can't be having that!!!!! I know Liverpool don't like United either, but I like Liverpool too. Unfortunately, most of the Champions League matches are on a channel that I don't get. Damn, there are some good matches there. So Ole Gunnar Solskjær, born in Kristiansund, Møre og Romsdal Fylke, (County), Norway is to be the new manager of my Manchester United until the end of the season on loan from Molde. This means quite a lot to me! 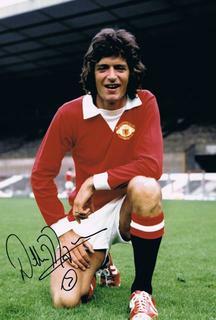 He was a superb player, much famed for his brilliant efforts as a substitute when coming on. I like this man very much, he is a national hero in Norway, Knighted with Den Kongelige Norske Sankt Olavs Orden, (The Royal Norwegian Order of Saint Olav), by King Harald ten years ag. I am so happy and hope he wins lots of matches to become the full time manager! I liked Mourinho, when he came I thought all our troubles were over, but the players have kinda changed their attitude towards him, but Ole will be a very popular choice among them. I am sure he will pull them all together and my Manchester United will soon be winning lots and lots!!!! Ten years ago if you asked a man on the street (USofA) to name a soocer team it would likely have been Man U. Today, not so much. Man U is in a very tentative #6 spot on the table and only 2 points from dropping out of the top ten. It is more likely Man U will fall out of the top ten than make the top four and a chance to play in the Champions League. And so My Manchester United are back to winning ways, of course. Was there ever any doubt with Ole at the helm? 5-1 away at Cardiff!!!!! Glory, glory...… I have just watched the highlights, coz my Sister was here today. I didn't watch the Man U match. I watched Man City, at home get their britches pulled down by Crystal Palace, I think the first time in 28(?) years as an away team. Anything short of a victory here would be an upset, and it's hard to see that happening. City wins, and the club wins big. Andros Townsend kicked a 20 yard volley into the net - best goal I have seen this year. I love an underdog. Oh, I am watching replat stuff coz it's still on sport. But I'm not taking much interest. I should wind back...… I only watched the ten minute United playback! You should see, Ole is going to do the business!!!!!!! I will wind back the tv and watch the McNasty City losing coz that is good!!!!!! But I do have to play badminton tomorrow at 12, so I will have to be quick!!!! So the greatest comeback ever is continuing. Ole Gunnar Solskjær, my hero and Norwegian compatriot has made it a record breaking six in a row for my Manchester United!!!! A very tough tie against the Tottenham Hotspur with David De Gea making some fantastical saves to win the game! Phew, I closed my eyes every time they went forward against us and cried when the final whistle finally came and that was just me watching the highlight programme, glad I don't have the contract for sky, (I have BT for many of their games), for the full game, coz I'd have been having kittens!!!! I watched the match live, Celia. I follow the Spurs and their offense thought the match was tomorrow. The Spurs played a good defense, but shots on goal were lacking - hence the 0 - 1 Man U score. So now it's seven wins in a row! No losses or draws under Ole's coaching of my Manchester United! With some easy kinda games coming, apart from the FA Cup game, I think soon we can expect my Manchester United to be in the top four!!!!! Anyway, it's 11 games, 10 wins and one draw with zero losses!!!! My Manchester United are now in the Champions League Premier league place, 4th! Nobody would have predicted that six weeks ago! 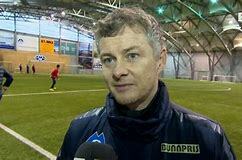 Ole is doing a great job and a very important match is taking place tomorrow night!! My Manchester United against Paris!!!! In the Champions League Round of the 16. Unfortunately poor liccle me is working tomorrow night, (on endless shifts lately! ), so I won't get to see it! Well, I hope we win that, and then the league place don't matter coz then as winners we qualify anyway and are the Champions too!!!!! And so it is.... 14 Premiership matches without defeat!! Ole has delivered!!! Unluckily, I got home too late tonight from Aylesbury to see the highlights! But, my Manchester United won again!!!! Oh, what a time up in Aylesbury!!! Anyway.... glory, glory my dear Manchester United! 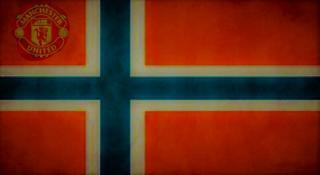 and my compatriot Ole!!!!!! I had the Wednesday Chelsea v. Tottenham on the DVR and finished it up yesterday . It is late in the match and the score is 1 - 0 Chelsea. Chelsea kicks the ball towards the Spurs goal and a Spurs defensive back intercepts the ball and kicks the ball, without looking back at his goalie was running towards the ball. The Spurs back, Trippier, scored an own goal from 20 yards out. OUCH! Chelsea won 2 - Nil. No, I like the Spurs. I like Kane, Ericson and I think Son is underrated. I also think the best scorer these days is M. Salah. I really like his play and I think he bring Liverpool its first title in a long time. ADD: Fulham was a good match for Chelsea today, but still fell by the wayside with a 1 - 2 loss to Chelsea. Mmmmm….. I am quite annoyed that Fulham could of have robbed them of 2 points!!!!!!! But never mind, my Manchester United will finish top four, you'll see!!!! As for Tottenham Hotspurs and Arsenal..... no, no, no, no, no!!! I don't want them in the top four, I want Liverpool top, City second, United third and Chelsea fourth!!! I don't like them and Kane is unsporting, if you remember the Chelsea game, Chelsea kicked the ball in to touch whilst attacking..... coz a Spurs player was injured. Spurs took the throw in and quite rightly passed it back to Luis, a Chelsea defender and then..... Kane tried to tackle Luis!!!!! So unsporting, he is an animal!!!!! So, my mostest favourite European team outside Norway, Ajax Amsterdam, knocked out the bully boys Real Madrid from the European Champions League tonight!!!!!! I did not watch it all, just the last half an hour! But it was quite amazing!!! 4-1... and in Madrid!!!! The McNasty Real Madrid have won it umpteen times!!!! I have all ways liked Ajax ever since a very wonderful evening in Amsterdam many, many moons ago!!! Yes, he was an Ajax fan and I have always followed them ever since. Ajax did not cheatily play for time, as Madrid would have done, or hold back, they still attacked throughout, good for them, how refreshing to see true Gentlemen on a football pitch!!! Madrid fouled often and cheaty cheaty cheatied. At last one got sent off, about time, I thought!!!! Tomorrow is my Manchester United against Paris and I so hope they can come back from 2-0 behind. Fingers crossed everyone!!! !